The modern lifestyle provides many comforts, but often we indulge in them so much that we forget to take proper care of our health and fitness. The best way to get in shape is through exercise, and as with everything else, technology is here to make that easier and even fun to do. 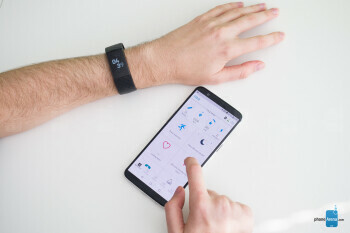 Fitness trackers like the Fitbit Charge 3 provide a real-time link between our bodies and our smartphones, all while offering to help people with staying healthier and more active. 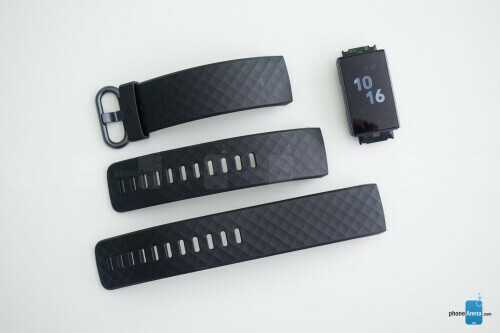 It takes the spot between smart watches and simple tracking bands, providing all the core functionalities of the latter with some features of the former. 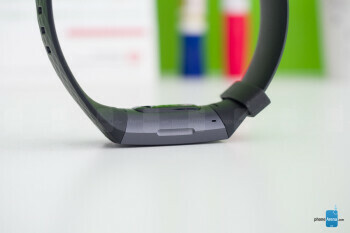 Coming in at $150, does the Charge 3 offer enough to justify upgrading from a regular activity band like the Fitbit Flex 2, or should you spend a little more and go for the Versa with its smartwatch bells and whistles? We’re here to find out! The Charge 3 has a clean and minimalistic design. The standard edition comes in two color variants: Graphite Aluminum tracker with black wrist band and Rose Gold Aluminum tracker with blue-gray band. 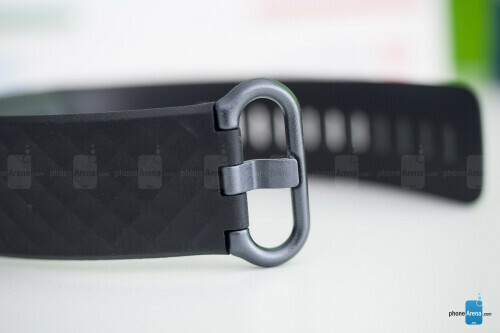 Other bands, including ones made of fancier materials like fabric or leather, can be bought separately from Fitbit’s online store. But even the included silicone bands look and feel nice. Its buckle may appear plasticky, but it is actually made of aluminum. 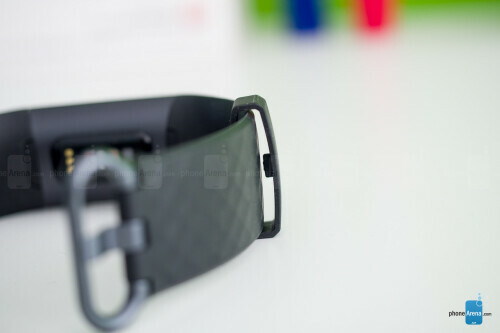 We should mention that the Charge 3 is not compatible with bands from previous generations of the tracker. The Fitbit Charge itself is compact, but does stick out a bit and can easily catch onto something if you’re not too careful. Overall, the Charge 3 is not the kind of device you’ll forget you’re wearing, but exactly how comfortable it will feel depends on the person. We’ve had some mixed feedback from the people that tried it on, some weren’t impressed with how it felt, while for others it was just right. 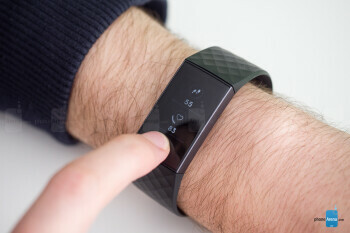 The module that houses the sensors is small and can put a bit too much pressure on your wrist if you’re on the skinnier side, even when the band isn’t tight. If you want to use it for all-day tracking rather than just workouts, we recommend trying it on before buying one, just to be sure that you’ll feel comfortable wearing it for a long time. The Charge 3 has a small monochrome touch-sensitive OLED display that’s easy to operate by swiping left/right, up/down and selecting by tapping. There’s also an indentation on the side acting as a back “button”, and it responds with a pulse of the built-in vibration motor when pressed. The display turns on automatically when you lift your wrist to look at it, showing you the time, your heartrate and steps for the day. The movement detection is far from perfect, however, and sometimes you have to flick your wrist back and forth a couple of times to trigger it. You can also double tap on the display to activate it, but this doesn’t always work either. Even if you have a timer running, the display will still turn off in a couple of seconds, and there’s no option to adjust the timeout length. These small annoyances could have been avoided altogether if Fitbit allowed us to sacrifice some battery life in order to have an always-on display, something that’s currently not available. It’s bright enough to easily see outside. 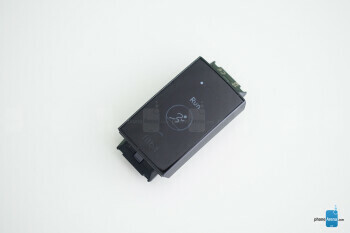 There are two display brightness levels – high and low – and the device can be set to automatically switch between them. The Fitbit app is an essential part of the Charge 3 user experience, and you can’t even set up the band without it. It’s your main hub from which you not only control various settings of the device, but also access data and stats related to your physical activity. The app allows you to change the watch face on the Charge 3, set silent alarms for it (that use the vibration motor instead of sound) and select which activities you want to track and what your main activity goal for the day is. Everything you need to know is displayed in a nice, easy-to-digest way. The app allows you to gain extra motivation by participating in challenges and compare your results to other Fitbit users. There’s plenty to choose from, but if you’re not that competitive, you can simply join a community close to your preferred activity, where you can share even the humblest workout achievements without being judged. There are many options that can make your efforts to be fit and healthy more enjoyable. Through the app, you can keep track of your daily caloric intake in a few different ways. One is the “Quick Calorie Add” option that lets you enter a meal type (breakfast/lunch/dinner) and its caloric value, and the amount will be added to your daily total. Figuring out how many calories you’ve had can be a bit tedious, but a quick Google search will give you an idea of what amount you should add. If your snack came in a package, the app allows you to scan the barcode as an even faster way to bump up your daily tally. Additionally, you can also make a list of custom foods if you often eat the same thing. That way the calories that come with your favorite breakfast, for example, will be added with a single tap. 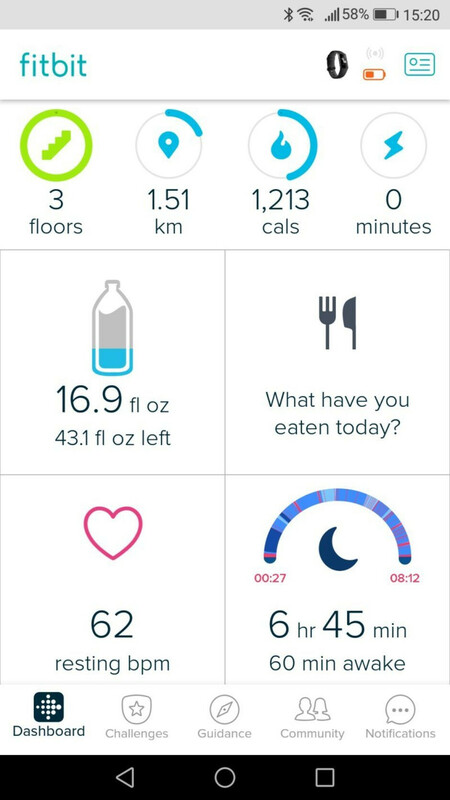 Tracking your water intake is even easier: you can quickly tap to add a glass of water or a whole bottle. Besides all the activity features, this tracker provides a couple of extra ones. When your _phone_ is within range, you will receive notifications straight on the Charge 3. You can configure exactly which apps are allowed to send notifications to the device from the Fitbit app. Additionally, you can also check the current weather for your location, as well as for the next couple of days. The Fitbit Charge 3 can track six different types of exercises: Running, Biking, Swimming (it’s water resistant up to 50 m), Treadmill, Weights and Interval Workout. 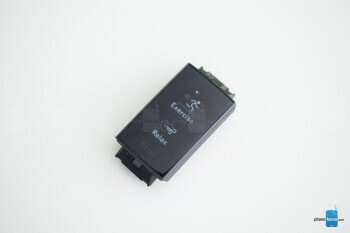 You can start one using the touch display or let the device detect it automatically. Through the app, you can adjust the triggers for each activity to make the automatic detection more accurate for your needs. That worked well for us, and you can rest assured that the Charge 3 won’t consider your quick run to catch the train as a workout (even if you tell yourself it totally was). Exercise tracking aside, the Charge 3 measures the following stats throughout your day: steps, floors climbed, calories burned, distance traveled, and heartrate. When you go to bed, it starts tracking your sleep. We found the sleep statistics particularly interesting as the graph shows you how much time you’ve spend in the different stages of sleep and how often you woke up without even knowing. Of course, the accuracy of those measurements is hard to confirm, but they seemed to match our experience. In the Fitbit app you can see detailed graphs of your sleep and activity data and set specific goals to keep yourself motivated. This is what we found most useful about the Fitbit Charge 3: having a constant reminder that you need to move more, drink more water and get your heart seriously pumping at least a few times a week. The Fitbit Charge 3 will store data for the past 7 days. Even if you don’t keep the all-day sync option active, the Fitbit app will initiate a sync whenever you open it, but you can also start one manually if you want an instant update. All the information is logged to your Fitbit account so switching phones is no big deal. You just have to pair the Charge 3 to the new one and set it up. 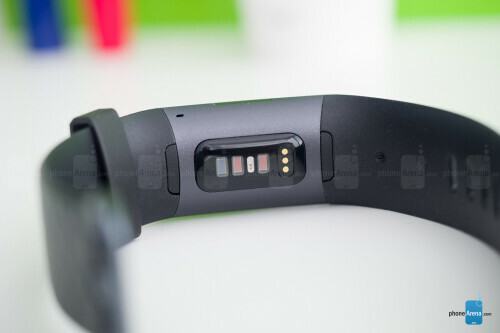 According to the manufacturer, the Fitbit Charge 3’s battery lasts up to 7 days per charge. During our above-average use, the battery level was dropping by about 16% per 24 hours, which means it would have lasted somewhere between 6 and 7 days, which falls in line with Fitbit’s estimates. A full charge takes about two hours. 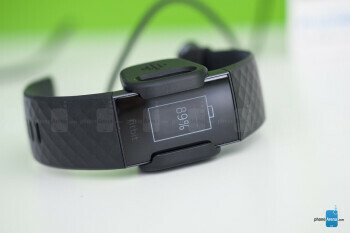 Fitbit provides a charging cradle only and no power adapter, but any USB port should do. The Fitbit Charge 3 does what it’s supposed to do well enough, but it’s not the well-refined product that you should expect at that price point. If you find smartwatches too big, but still want to have quick access to the time and your notifications, then this product will suit you just right. 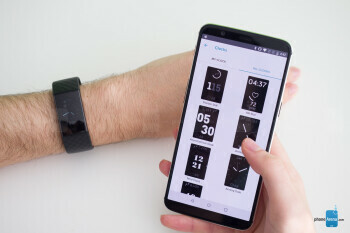 But overall, the tiny display isn’t providing anything essential to your workout experience that will make you choose it over a simpler tracker. 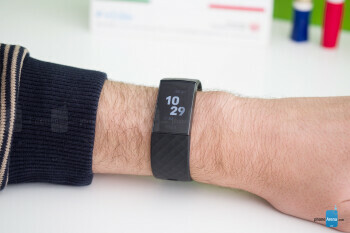 And if features are what you want, Fitbit’s more capable Versa costs just $50 more and is looking like a better deal.